You may be wondering about the addition of a black and white code to our Edmonton Journal ads. We have also added this code to the For Sale sign in front of some of the properties that we have listed to sell. This graphic is called a QR Code (Quick Response Code). It may be scanned with your smartphone. Try it while you are looking at our ad or walking past one of our For Sale signs. 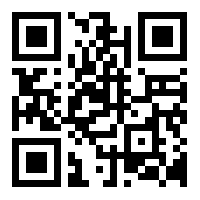 When scanned, the code will take you directly to a Ryan Dutka website property listing. You’ll instantly be able to see photos of the home and read the details and description. If you are interested in the property give us a call at 780-988-0001. We’d be happy to set up a personal tour of the home with you. Many smartphones are equipped with QR code readers already installed. You simply need to launch the application and scan the code. But if you do not have the QR code reader on your phone, you can easily download the application for FREE! Simply go to the Apple App Store, Android Market or BlackBerry App World on your phone. using the “Scan A Group Barcode” option in the BBM menu.